Holi is finally here! But even as many across the nation celebrate the festival of colours with full zeal, there are a few people who have to continue working. Oh well, we aren’t talking about us! 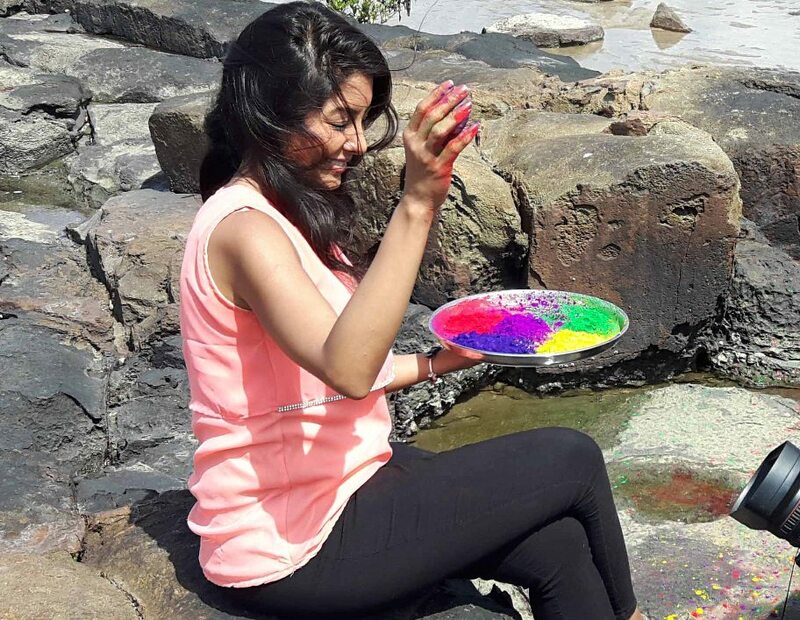 Our TV celebrities maybe busy shooting for their running projects, but that didn’t stop them from celebrating Holi on the sets with their co-stars! Their hectic schedule rarely gives them free time for fun and celebrations. This Holi, however, TV actors Simran Khanna was seen celebrating Holi on the set of Zee TV show Sanyukt with her cast and crew member. On the day of Holi she has decided to take a break from work and celebrate the festival of colours with their near and dear ones. While talking to the Media, She said, "I will be spending this Holi with my Dear and a few friends. I have plan lots of masti with our closest friends who we invite over to our home. Unlike the last few years, I am just hoping that this year I don't have to shoot on the day so that I can go ahead and make special plans with my family and friends."